The Mondial was introduced in 1980. 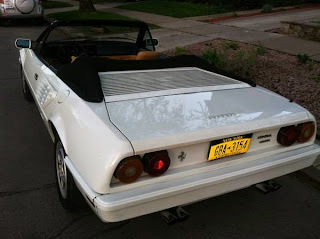 The body was styled by Pininfarina. It was to be a practical Ferrari. The large doors offered easy ingress and egress, and the back seat could be tolerated for short trips. The early cars came with a 3.0 liter 2 valve per cylinder V8. 60 MPH came in 8.2 seconds. That wasn't a bad number for a 1980s car, but it was not a good number for a Ferrari. 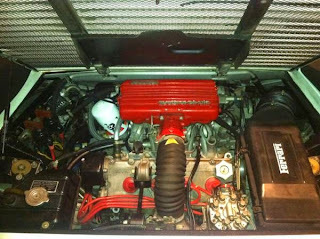 In 1982, Ferrari replaced it with their four valve engine ("Quattrovalvole") and things improved, with 60 coming in the mid 7 second range. In 1985, they increased the the engine to 3.2 liters and things got even better. 60 miles per hour came in 6.8 seconds. 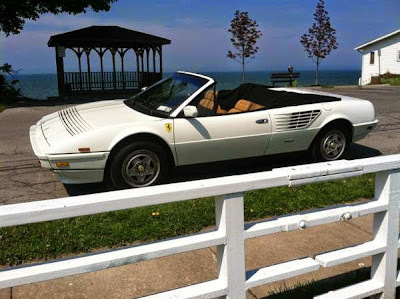 The Mondial was a sales success for Ferrari. 6100 were built between 1980 and 1993. However, Ferrari aficionados are a fickle bunch, and the car was never fully accepted by them. Prices have remained relatively low. 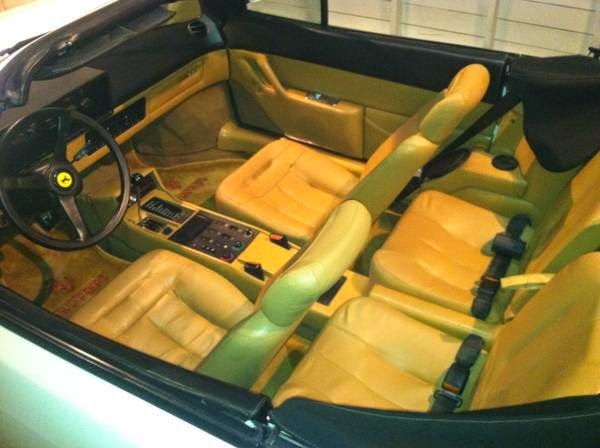 You can get into a Mondial coupe for the price of a few year old Miata. Cabriolets are a little more. But,the entry price is just the beginning. Reliability is Italian. Ferrari parts are stupid expensive. Maintenance is a must. Buy the best one you can, because as someone once said to me (I can't remember who), "The most expensive Ferrari is a cheap Ferrari." So why buy one? Easy. Nothing looks or sounds quite like a Ferrari. Yes, some of today's hatchbacks are quicker than a Mondial, but they don't look or sound like one. That is not something that can be created on a computer. It comes from years of experience. Call it heritage. A car like this is what I like to call a "vacation car." If you keep it for 10 years, it might cost you $50,000.00 (purchase price, insurance, maintenance, gas). That's $5000.00 per year; roughly the cost of a vacation at the beach, in the mountains, or at a reasonable ski resort. To many car geeks (myself included), staying at home and having a Ferrari to drive on nice summer nights and weekends would be more enjoyable, more relaxing, than any vacation at the beach or on the slopes. This Mondial seems to be in nice condition. It looks like it has been well maintained. The seller says he's done over $10,000.00 worth of work to it in the past 4 years. Ask for proof of that. If you're not especially knowledgable about Ferraris (I'm not), find someone who is and bring him with you. 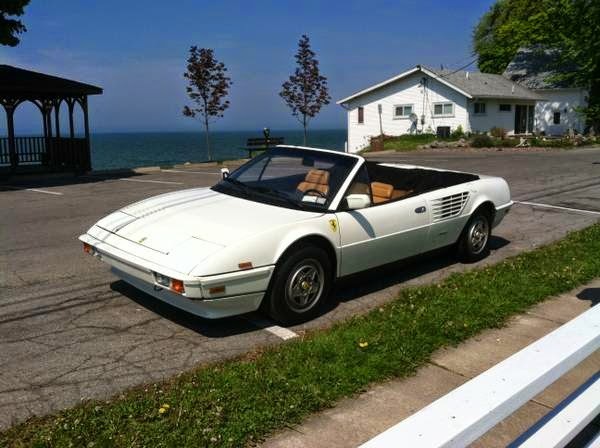 Located in Western NY, click here to see the Craigslist ad. You can name drop that you have a Ferrari to women you meet in clubs too. A pal of mine use to mention his Porsche to girls when we were clubbing back in the early 80's; it was a tired 914 but they were never the less remarkably impressed.